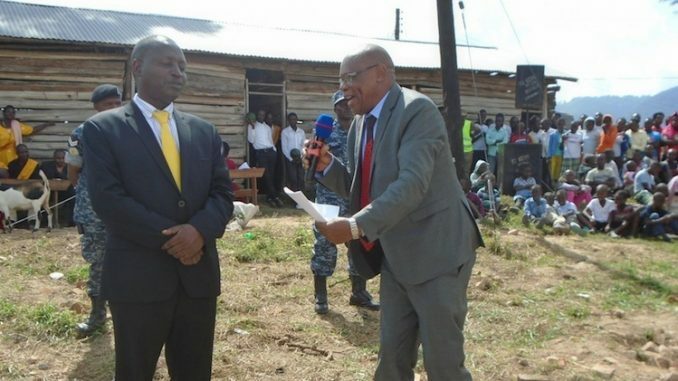 The state minister for Finance, David Bahati and Rubanda West MP Denis Sabiiti on Sunday 24th clashed over an alleged apology for voting against a constitutional amendment that lifted the presidential age limit. 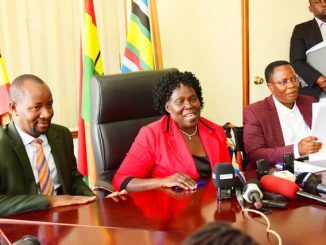 Drama started when Bahati named Sabiiti as one of the legislators who’d apologised to President Museveni for voting against the amendments back in December 2017 yet the amendment had been sanctioned by the NRM caucus. Through the amendment, parliament removed the cap on the presidential age, extended its term of office from five to seven years and reinstated presidential term limits. A total of 317 MPs voted in favour of the motion while 97 voted against. 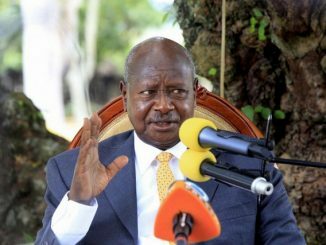 A total of 23 National Resistance Movement (NRM) legislators who has voted against some of the amendments reportedly apologized to President Museveni early this week. 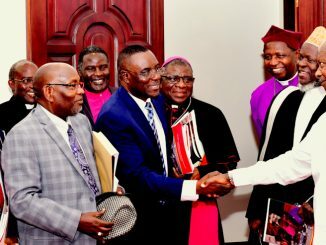 They include, Fort Portal Municipality MP Alex Ruhunda, Kabarole Woman MP Sylvia Rwabwogo, Mubende Municipality MP Anthony Semmuli, Dokolo South MP Felix Okot Ogong, among others. Bahati said that although Sabiiti has apologized before the President and other NRM members of parliament, he had made a very wrong decision. Bahati’s statements however evoked anger from Sabiiti who openly denied being part of those who apologized for voting against age limit removal. “I never apologised, I have never written to National Resistance Movement (NRM) over my position. Get it clear, and I will never do it. My conscious is clear, I was representing the position of my constituency. Majority of them said, take this one there, it is what I took there. Others decided not to take the people’s position there. But me, I felt, if I don’t, I would not be representing them. I would rather leave that parliament than not representing the people who sent me there,” Sabiiti said.